As I wind up my year long project of posting once a week on tools I’ve found interesting for writers, I also meet that busy zone – just out of NaNoWriMo but with some writing to complete, and of course the holiday season and school holidays also. Here are two totally unconnected randomly found apps which may provide some use to you. Both are free to use webapps. myNoise Net provides calibrated online sounds. You can mix these sounds to create your own ambient working mix. Choose from synthetic noises, natural noises such as the typical rain and lightning storms, tonal drones, voices (including coffee shop babble), brainwaves such as binaural beats, industrial noises, atmospheres, soundscapes and patternscapes. The online super generator (for patrons only) allows for up to five different sounds in the one browser window – which can be played as a mix or sequence. Calibrator tools allow you to change sound volume. Single sound generators are free to use for everyone. Patrons can donate from a range of $5-$30 to support the site, and gain access to some locked features and the multiple sounds pages. The site also lets you save your slider (volume, speed and other frequency) settings and order the file as an MP3. myNoise also has an iOS app which contains three of the most popular noise machines and can be used on the go without connectivity. This app can also work in the background, which lets you also use other iOS sound apps such as your music apps with myNoise simultaneously. While the App is free to download, it provides more sounds via inapp purchases. 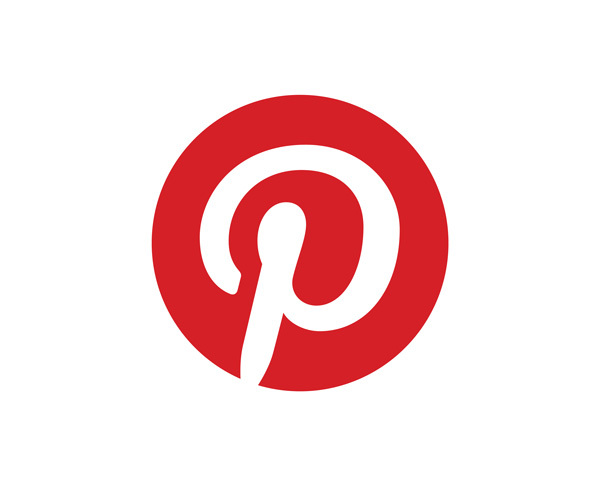 Note: This app has been added to the January article, The Ultimate List of Distraction Blockers for Creatives and my Listly list on Distration Blocking Ambient sound apps. 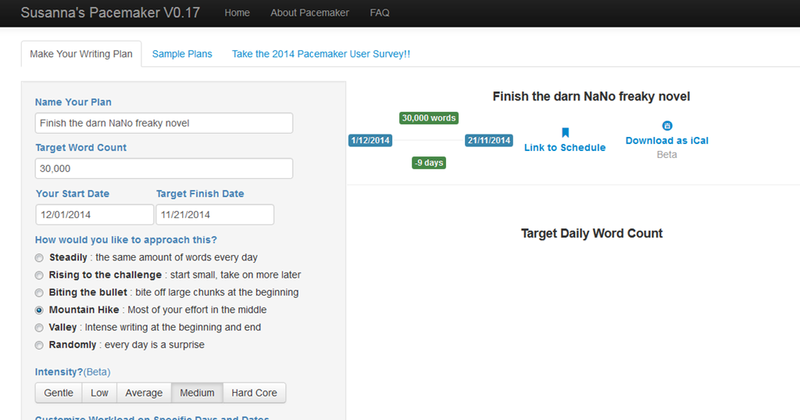 Susanna’s Pacemaker (currently V0.17) is a word count project calculator and scheduler available as a webapp. Using the filters on this page, you can customize a variety of settings for a word count schedule. Not only handy for writing marathons like NaNoWriMo, the Pacemaker lets you schedule writing more or less on certain days (such as the weekends) or your approach – whether you want to work with a steady wordcount from start to target end date, or want the word count targets to rise, or mountain peak, or spit out a random schedule. You can also reserve some safety days for your end dates. Then you can display the schedule by calendar, graph, or table and share it with others. There are some sample plans up onsite also. The Twelve Days of December Writing almost fit my own trial plans to finish my NaNo novel over December. In fact, as this post happens to be scheduled for the 12th of December, I am writing with a future hope that that novel is now completed at a first draft status. In April of this year I posted an article sitting in the 26Tech series, on Aeon Timeline, based on using it from November 2013. I have since used the newer version through NaNoWriMo ‘14, and with the new synch capabilities shared between Scrivener for Windows and Aeon Timeline for Windows, I became a convert. If you want to see what I wrote during NaNo on both apps, here’s the mid-month post.